I have a new obsession in DC. It’s called “Cold Spicy Shrimp” and it’s served at J.Paul’s in Georgetown. I cannot get enough of this shrimp. (I would marry this shrimp if I could.) For this week potluck is doing a “First Year Anniversary” theme. 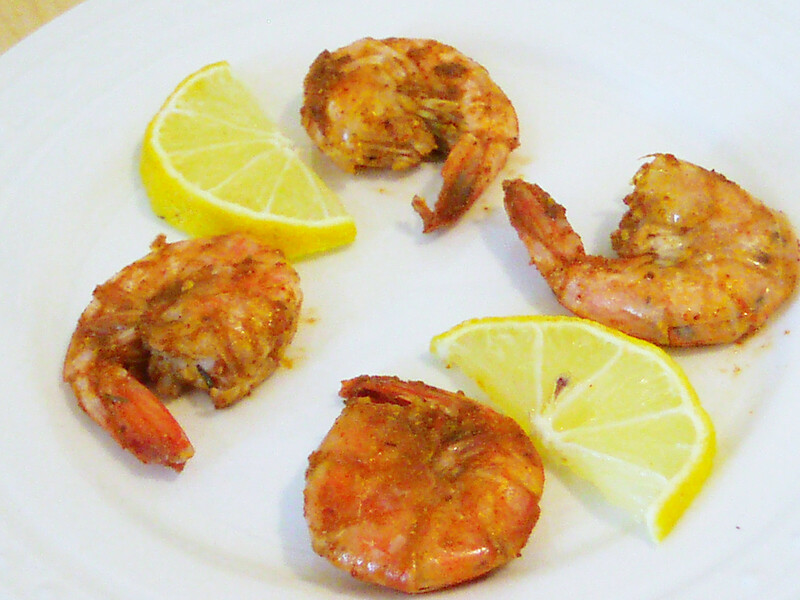 The dishes are trending toward Mediterranean, but I don’t care, I’m making cold spicy shrimp. It may not be Greek, but it is good. Now to be totally honest, you can eat this shrimp dish hot or warm, you don’t have to make the shrimp cold. I like to eat them chilled because I think it adds a little punch to the seasonings that doesn’t come through as clearly when served warm. You can also serve these with lemon wedges for a little added zest. If serving these in a social setting be sure to have an empty bowl ready for the shells, and a ton of napkins or wet-naps at the ready. In a small bowl combine the Old Bay and cayenne pepper. If you bought frozen shrimp, place the shrimp in a bowl and cover with water. Let stand for about 10-15 minutes to allow the shrimp to thaw, and then drain. Fill a medium saucepan with water and set on high heat and bring to a boil. While the water is heating up rinse the shrimp in cold water to clean them off and then place them in a bowl. Add half of the seasoning mixture to the shrimp and use your hands to make sure the shrimp are all well coated. Let the shrimp stand in the seasoning for about 5 minutes. Add the shrimp and bay leaves to the boiling water and let cook for 5 minutes. Remove the shrimp from the water and toss in a bowl with the remaining seasonings. Serve warm or refrigerate covered for a few hours and then serve cold.